CorningWare is a brand of stoneware bakeware, used for preparing, serving and reheating food. If you use the cooking and care instructions suggested by the manufacturer, your CorningWare should last you for many years and provide consistent cooking results. Although durable, some situations will result in breakage of your CorningWare product. Ensure the CorningWare item you are using is appropriate for your cooking application by looking at the bottom of the piece. It will be stamped with information about appropriate use (convection, microwave, conventional oven). Vintage CorningWare pieces (heavy, with a cornflower blue graphic) are safe for use on the stove top as well. 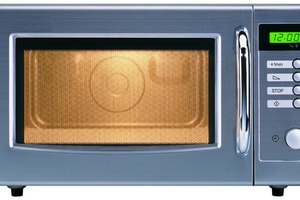 Preheat your oven, unless you are using a microwave. Sudden temperature changes can cause shattering. Ensure the food you are preparing adequately fills the dish, as a dish that is not full enough can break. Prepare your item in the CorningWare as desired, so long as it is indicated on the bottom of the dish. Use care when removing your CorningWare from the oven, using a dry towel or oven mitts and never a wet rag. Set it on a cork trivet when possible instead of the bare table or counte-rtop. Allow cookware to cool slightly before placing it inside the refrigerator for food storage. Clean using a non-abrasive cloth or sponge. Never immerse a hot dish item in water, and avoid soaking to clean. Refer to the CorningWare website for specific tip sheets for your product. There are two different kinds of CorningWare: the vintage and the newer light versions and their applications for use vary. 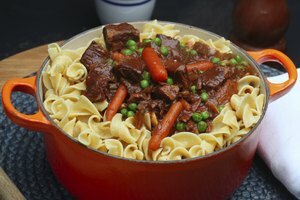 The vintage variety is safe on the stove top, while most others can be used in your microwave, convection oven and a conventional oven that has been pre-heated. Sudden temperature changes can result in sudden shattering and injury. Unless you have vintage CorningWare, never use this product on the stovetop. No CorningWare should be used under a broiler or microwave browning element, in a toaster oven, on top of open flames or a direct heat source. Never use CorningWare for poping popcorn, caramelizing sugar, or deep frying in a microwave as it may cause chipping or breakage. Damaged items can break without warning so throw out chipped or broken pieces instead of repairing them. Do not soak your CorningWare items to clean them as it may cause a form of small but gradual cracking known as crazing, which can lead to shattering. 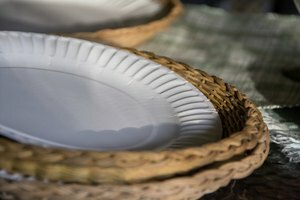 Is it Safe to Microwave Paper Plates?